General Rubber has a proven history of working closely with customers to implement alliances which reduce costs, increase piping and equipment reliability, and improve efficiencies. We not only work closely with our OEM, MRO and EPC customers, but also with diverse organizations, for example: pipe stress and design software providers, inspection and installation vendors, academic researchers, utility sponsors, manufacturers associations, and standards organizations. This all-inclusive approach complements our best practices and field inspection techniques and ensures plant reliability and efficiency, as well as optimal—both traditional and advanced—designs. Tasked by the nuclear industry to advance improved management of rubber expansion joints, the Electric Power Research Institute (EPRI) invited General Rubber to participate in the Technical Advisory Group (TAG). The group investigated nondestructive evaluation technology, and detailed their findings in the technical report [ID3002005256] Microwave and Millimeter Wave Evaluation of Rubber Expansion Joints and Metallic Materials, where General Rubber was proudly cited as a significant contributor. As a result of working with EPRI, General Rubber also further developed its Plant Reliability and Efficiency Program (PREP), incorporating and expanding EPRI’s inspection methodology findings into a comprehensive predictive maintenance program. While combining these elements into an FMEA-based program, General Rubber was able to fully address the goals developed by the TAG. 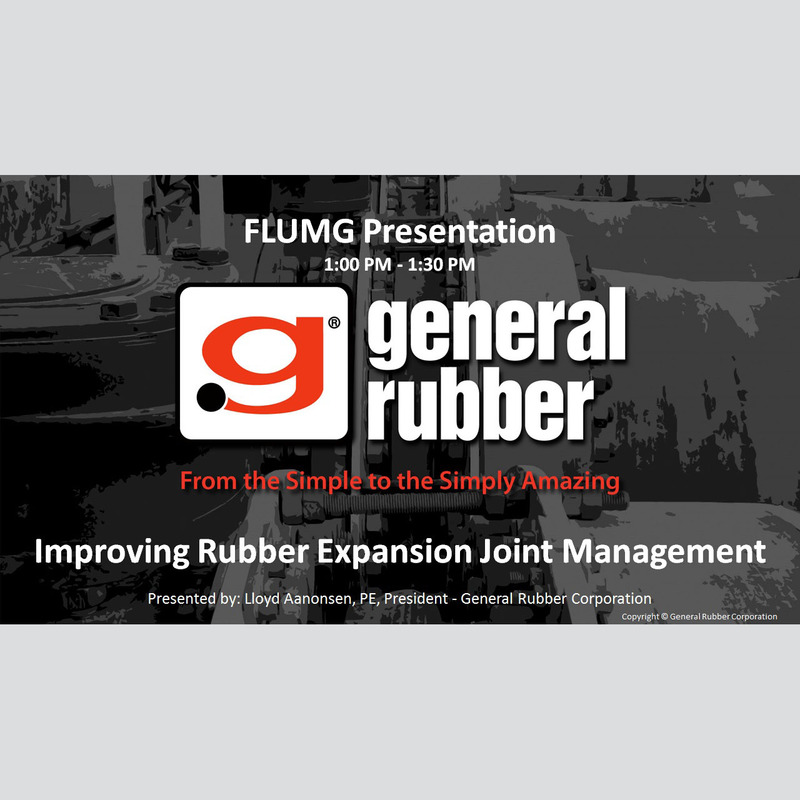 General Rubber was also invited to present its findings at the Fluid Leak Management User Groupsummer conference, FLMUG 2015, in Chicago. A copy of this presentation as well as other examples of our strategic alliances are available upon request, please contact us.